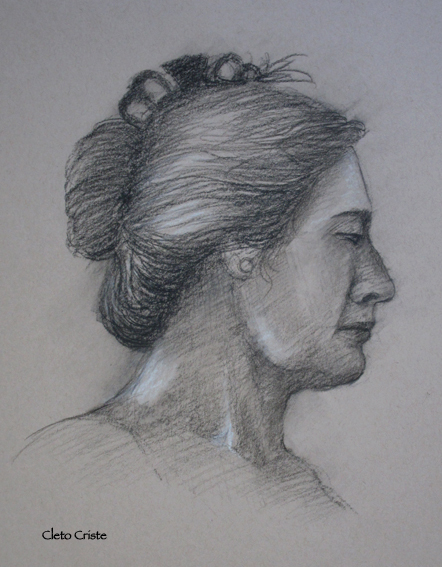 After missing the last two weekends of the life drawing workshop due to archery and a hurricane bringing lots of rain, I was able to attend this weekend’s workshop and I felt pretty good about what I did today. 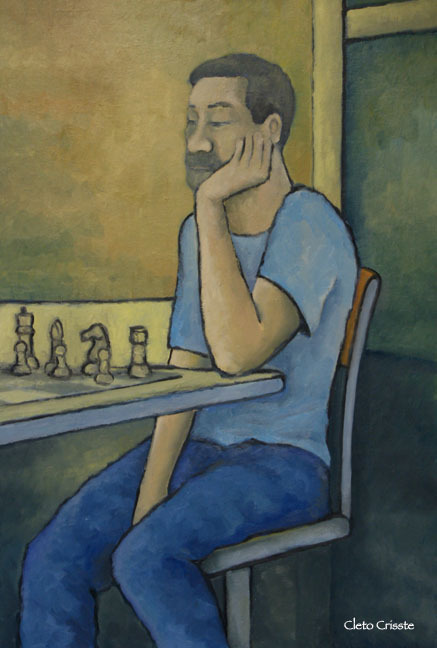 New oil painting – The Chess Player. Oil on canvas board, 24″ x 36″. The subject in this painting was this homeless man who would sometimes come to McDonald’s Restaurant in the morning and set up his chessboard on the table. Sometimes he’d have no one to play and other times there would be someone to play him. I did a quick drawing of him with a ballpoint pen in my sketchbook while he was sitting in this pose. There was no one across from him at that time. I borrowed the background from a Starbucks Cafe that I sometimes go to in the morning and continued adding more details to the drawing. Eventually, it got to where I thought it could turn into a painting. I think I’m right at the finished stage right now. I’ll take a long look at it to see what else I may have to do and then sign it.